Get quotes from multiple, top insurance providers. We can help you compare, evaluate plans so you can choose the optimal plan for you and your family. A Medicare Advantage Plan (MA) is a type of Medicare health plan offered through private insurance companies to provide Medicare A and Medicare B benefits to the beneficiary if they chose to enroll in this kind of plan. Types of Medicare Advantage Plans are Health Maintenance Organizations (HMOs), Preferred Provider Organizations (PPOs), Private-Fee-for-Service Plans (PFFS), Medicare Cost Plans, Special Needs Plans (SNPs), and Medical Savings Account Plans (MSAs). Medicare Advantage Plans are not supplements. Medicare Supplement Insurance plans work with original Medicare. 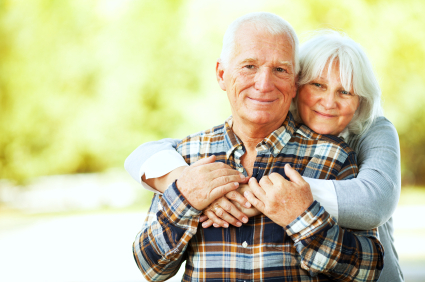 Medicare Advantage Plans are an alternative way to receive your Medicare A and B benefits. Selling a supplement to a beneficiary on a Medicare Advantage plan is not allowed. Medicare pays the plan a set amount each month to the plan for each beneficiary enrolled. Insurance companies that offer these plans must follow the rules set by Medicare. These include providing care that traditional Medicare would provide to the beneficiary. But plans can charge different out-of-pocket costs such as copays, co-insurance, deductibles and they can set rules on which providers you see and if you need a referral or not to see a specialist. These rules can also change from year to year. Some Medicare Advantage Plans also offer optional benefits, such as Medicare Part D prescription drug coverage (MA-PD) and rider options for additional vision, dental and other services. To compare plans, you can call Medicare at 1-800-633-4227, visit www.medicare.gov, call the insurance company directly for information or visit with an experienced insurance agent can explain the differences between Medicare Advantage Plans and Medicare supplements and assist you in the various health plans available in your area. Emery Insurance Services offers many of the Medicare Advantage plans sold in Wisconsin, Iowa, and Minnesota. To speak to licensed agent, please call 1-800-658-9009. Have questions? Please call 1-800-658-9009.